At Whole Body Health we don’t just treat your symptoms, we get to the underlying cause of the problem that is preventing you from living the full, pain-free life you deserve. As holistic health practitioners, we believe in understanding all of your physical and emotional needs to fully individualize your care. We practice natural and non-invasive health care under the expert direction of licensed acupuncturist Moira J. McCarthy, TX L.Ac., Dr. Jeffrey Ulery, DC. Are you ready to feel like You, again? Give us a call today at 512-328-5200. "I didn't think there was anything that could help my symptoms from Lupus. After seeing Moira, I feel like a new woman and I'm back at work." "I tried micro-needling after having acupuncture facials from Moira. I saw no improvement from the micro-needling compared to the results I get from acupuncture and I love the health benefits I get along with my glowing and beautifully toned skin!" --E.H.
"Moira's done wonders in alleviating my pain. My wrist injury had never fully healed, and was painful and weak many months later. In just two treatments the pain was substantially eliminated. I now feel no pain whatsoever due to this injury." "After about twelve sessions, my migranes were gone entirely!" "After many unsuccessful months with prescription medicines, I came to Moira to treat my severe daily migraines. After about twelve sessions, my migranes were gone entirely! Providing excellent care in a comfortable environment, Moira focuses on treating the problem itself, not merely the symptom." "Acupuncture has greatly reduced my asthma and allergy symptoms." "Acupuncture has greatly reduced my asthma and allergy symptoms. Since I've been seeing Moira, I rarely need my inhaler and I have a lot more energy." "My experiences with the Acupuncture Wellness Center have been amazing." "My experiences with the Acupuncture Wellness Center have been amazing. Moira has helped me in so many ways in relieving pain and stress. The Acupuncture Wellness Center is a very peaceful and relaxing center that has a feel of comfort and serenity. I highly recommend this place to all my friends." "Moira McCarthy's method of acupuncture has helped keep the carpal tunnel syndrome in my left wrist at bay for many years now. I would not be able to continue in my massage therapy practice without the benefits of acupuncture. I have referred numerous clients to Moira over the years and her treatments have helped them immensly. " "The results from the treatments have been phenomenal." "The results from the treatments have been phenomenal. The racing, obsessive thoughts have ceased along with the painful GI distress that I endured. I am calmer, sleeping better, have lost the bloating and weight gain. The discomfort that I felt, when I ate, is gone too." "My choice was back surgery until I went to Moira and did acupuncture. me more relief than any of the physicians. 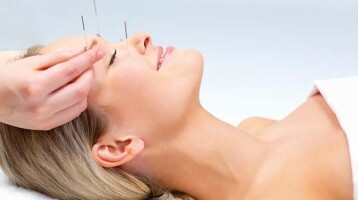 Acupuncture is an amazing alternative." The unique concept of Chinese medicine is that a human being is a microcosmic expression of harmony and balance. Harmony depends on the Qi and the goal of acupuncture is to release blocked Qi. Experience the deep relaxation, stress reduction and general positive health effect of this ancient healing technique. Learn more about our services and schedule your consultation today!